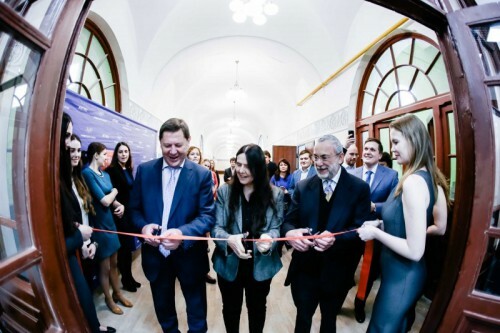 First launched in 2007, the L’Oréal-UNESCO For Women in Science initiative is organized by the Russian Academy of Sciences and Commission of the Russian Federation for UNESCO in Moscow. In 2018, ten researchers from Russian scientific and educational centers were distinguished for their contribution to science. 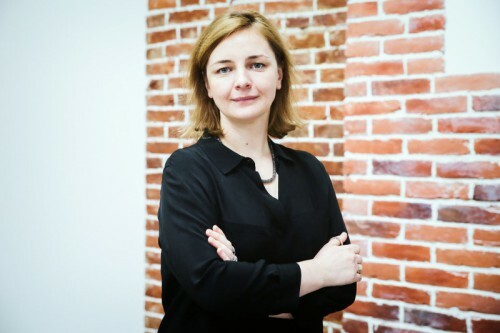 The awardee list includes ITMO University Biochemistry Cluster professor Ekaterina Skorb. 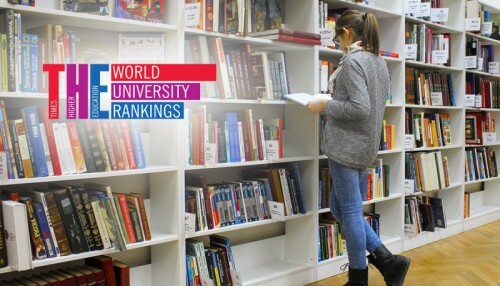 The Times Higher Education World University Rankings 2019 include more than 1,250 higher education institutions from 86 countries. 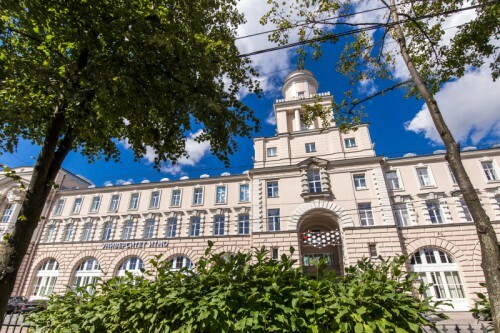 ITMO University has preserved its 501-600 place, but managed to improve its nationwide results, ranking fifth among other Russian higher education institutions. The Times Higher Education Eurasia Rankings 2018 were announced at the THE summit concluding in the Russian city of Kazan on August 31. ITMO University took a prestigious 15th place in the inaugural Times Higher Education Eurasia Rankings featuring the leading research-intensive universities of the Eurasia region. ITMO got an even higher recognition nationally, ranking 10th amongst Russian higher education institutions. For the third time, the GoTech Innovation company assessed Russian universities in terms of the number of top IT entrepreneurs they trained. 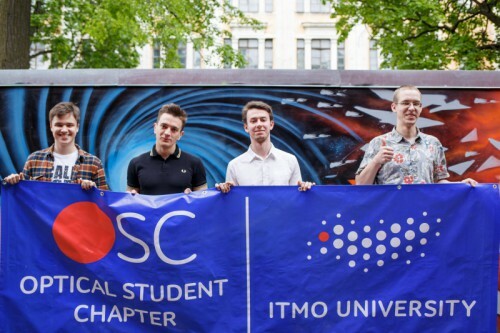 For the first time, ITMO University took first place. According to the company’s estimates, ITMO students and graduates accounted for more than 5% of all the entrepreneurs who participated in the GoTech contest last year. ITMO University has entered the Academic Ranking of World Universities (ARWU), widely known as the Shanghai Ranking. Considered one of the most objective rankings, it takes into account the universities’ bibliometric indexes and the prevalence of prestigious awards among their graduates and staff. 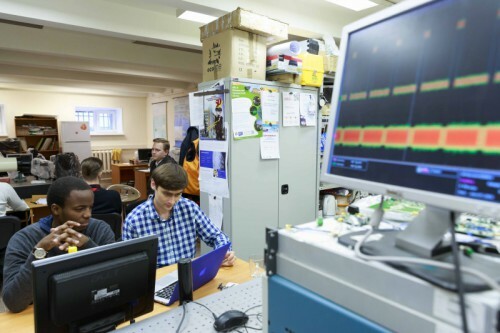 ITMO University entered the ranking in the 801-900 position. 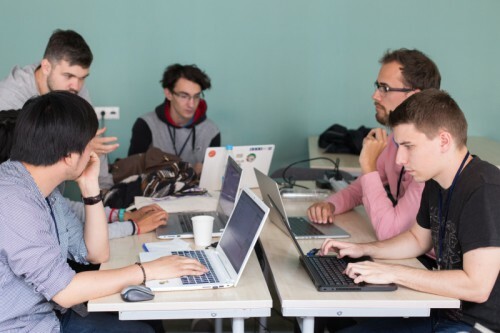 Each year, more than 50,000 programmers from all over the world participate in the Google Code Jam international coding competition. In 2018, for the fifth time in a row, ITMO student Gennady Korotkevich took the winning title, having beaten his immediate competitors: Kamil Debowski from Poland and Makoto Soejima from Japan. Published by Shanghai Ranking Consultancy, an independent organization that conducts research on higher education intelligence, the Academic Ranking of World Universities, also known as Shanghai Ranking, is seen as the most objective among the most influential university rankings out there. The competition is tough: out of more than 4,000 contenders in 2018, only 1,600 made it to the final list, ITMO University among them. 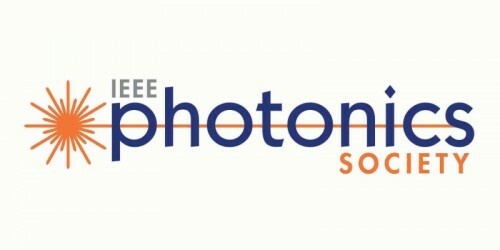 For the first time ever, two ITMO University scientists received the IEEE Photonics Society Graduate Student Fellowship Award. Among the 2018 recipients of this prestigious prize commemorating high-achieving PhD students for their research are Tel Aviv University PhD student Dmitry Filonov and ITMO University PhD student Alena Schelokova, both Associates of the ITMO International Research and Educational Center for Nanophotonics and Metamaterials. 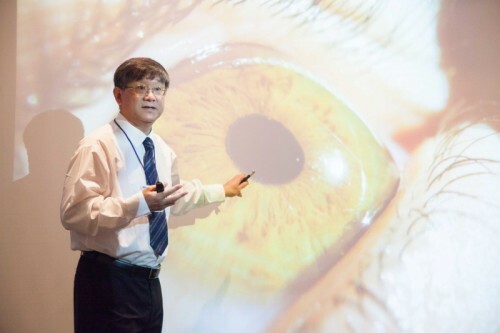 Xi-Cheng Zhang, head of ITMO’s International Institute of Photonics and Optical Information Technology and a member of ITMO's International Council, received a prestigious Alexander von Humboldt award. 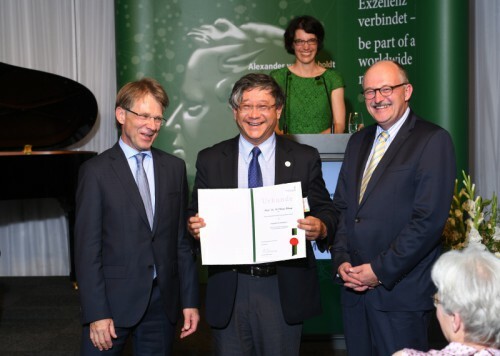 Award winners are invited to cooperate on long-term research projects with colleagues at a research institution in Germany. Forbes Russia released its first ranking of Russian universities that assesses the quality of education in Russia and projects which higher education establishments train those who will come to be included in its listings of successful entrepreneurs and members of the “political elite”. 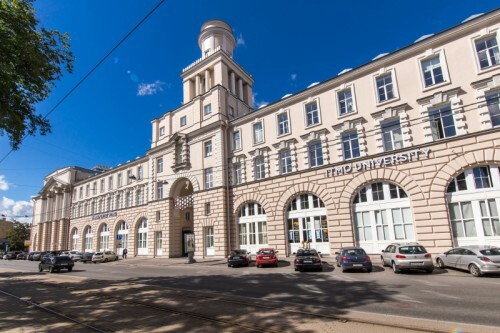 ITMO University was placed 7th, becoming St. Petersburg’s only university in the top-10. The Springer Nature Publishing House updated the Nature Index (the reference period is from April 1, 2017 to March 31, 2018). The index tracks contributions to articles published in a group of highly selective science journals at the institutional and national level. ITMO University is among the top ten Russian scientific organizations and the second among Russian universities. Every year students and staff of ITMO University are awarded scholarships by the International Society for Optical Engineering (SPIE). In 2018, five students representing the Terahertz Biomedicine and Metamaterials laboratories became the scholarship winners. ITMO University, therefore, has won the most spots, coming out ahead of the University of Arizona (four winners) and University of California (four winners). According to the May 30 decree, ITMO University’s Rector and head of the Council of St. Petersburg Rectors, Vladimir Vasilyev, was awarded the Order of Alexander Nevsky. ITMO University’s team headed by the Director of the School of Translational Information Technology Alexander Boukhanovsky received an award from the Government of the Russian Federation for the creation and implementation of "Complex Methods for the selection and training of highly quality personnel of a world-class level in the field of Information technology" known as ICT Excellence. 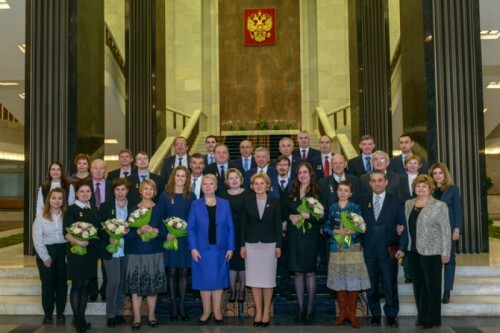 The House of Government of the Russian Federation hosted the award ceremony for the Russian Federation Government Prize in Education of 2016. 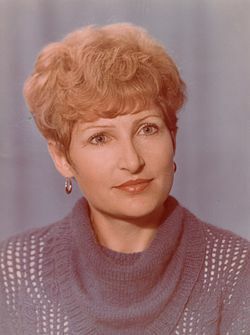 Olga Vasilyeva, Minister of Science and Higher Education (the former Ministry of Education and Science), and Deputy Prime Minister Olga Golodets awarded the 19 laureates. Five awards were given to members of ITMO University for developing a complex procedure for selecting and training highly qualified world-class personnel in the field of Information Technologies. 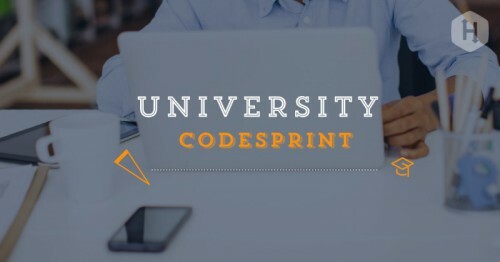 HackerRank platform published the results of the UniversityCodeSprint, the international contest for programmers. This year ITMO University took first place (361.9 points) by a significant margin (the team placed 2nd got only 299.58 points). The QS World University Rankings by Subject, carried out annually by the British company Quacquarelli Symonds, evaluates universities from 74 countries for 46 different subjects. The following indicators are included in the ranking: academic and employer reputation, number of research citations of the university and H-index. ITMO University programming team became World Champions at the ACM International Collegiate Programming Contest World Finals that took place in Rapid City (USA) on May 24, 2017, setting a new record in the history of the contest. No other university had been able to win it seven times. 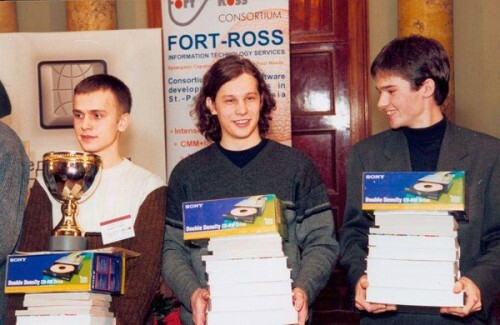 Vladimir Smykalov, Ivan Belonogov and Ilya Zban – all students of the ITMO University Computer Technologies Chair – successfully and quickly solved 10 out of 12 problems and beat some 133 teams from around the world. The eighth annual national university rankings prepared by the International information services group "Interfax" have been published, formed on the basis of the 2016-2017 academic year. The number of universities included in the rankings has increased by 26 with a total of 264 Russian universities. 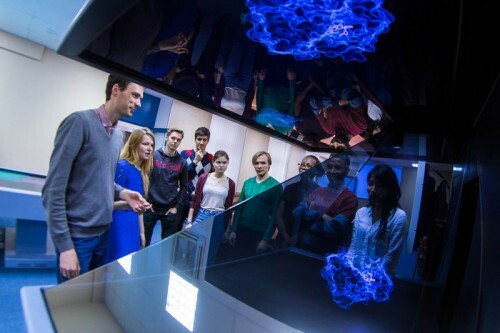 ITMO has climbed five places, and is not the 7th top university. The award for achievements in the field of sol-gel technology was granted to Vladimir Vinogradov, Head of ITMO University’s International Laboratory "Solution Сhemistry of Advanced Materials and Technologies" (SCAMT) and to Alexander Vinogradov, head of ITMO’s Biochemistry cluster. This prestigious international award has been given to young scientists from all over the world since 1991; 2017 marks the first time it goes to scientists from Russia. 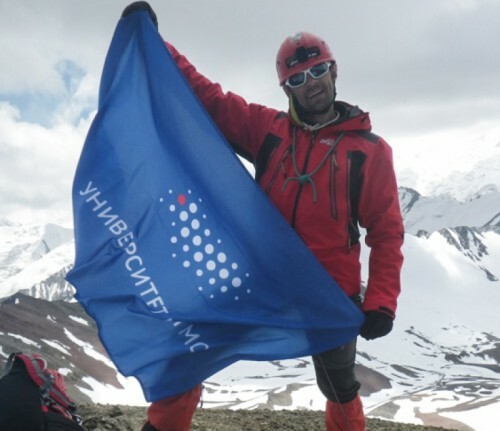 Vadim Veiko, head of ITMO University’s Department of Laser Technologies and Systems, who has been a mountaineer for more than 50 years, and Alexei Orudzhev, an ITMO alum, engineer and a mountaineering club trainer, have successfully climbed an unexplored peak in the Pamir Mountains, located at 4729 meters above the sea level. The previously unnamed mountain, located near the Lenin Peak, now bears the name of ITMO University Peak. 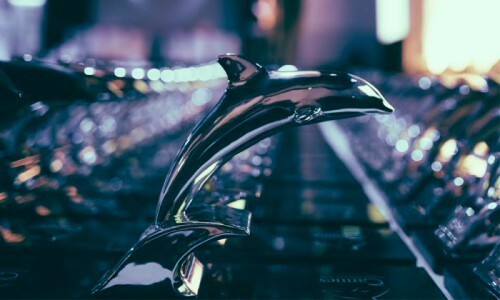 This year, ITMO University participated in the event for the first time, winning the silver “dolphin” in the “Marketing Communication - B2C” category. The international competition for talented school and university students involves participants from more than 60 countries. ITMO’s team of school students, led by coach Igor Lositskiy, has won the gold medal in the Open category’s Senior age group. 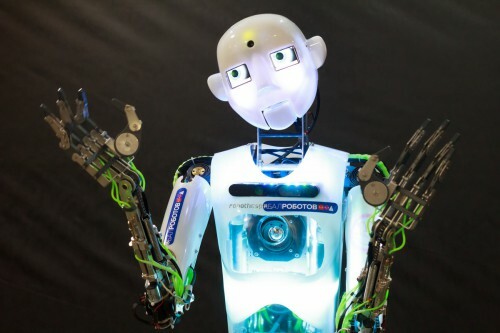 Russian teams have also claimed gold medals in all three age groups of the Regular category (as well as both silver and bronze in the Elementary age group), the bronze medal in the Robot Football competition and another gold medal in the Open category. ITMO University was selected among the leaders of the 5-100 Russian Academic Excellence Project for 2015 at the meeting of the International Council on Competitiveness Enhancement of Leading Russian Universities among Global Research and Education Centers in Moscow on March 18 – 19, 2016. On the basis of its' success and plans for further development, ITMO University is to be awarded 900 million rubles in subsidies for 2016. ITMO University team got a silver medal at the world's most prestigious student sport programming contest АСМ ICPC. The final stage of the competition has finished today on Phuket, Thailand. Tracking research at over 8,000 institutions worldwide, the index draws out countries and institutions "that are the players to watch." The authors noted that ITMO U "saw a leap of 184% in its WTC." 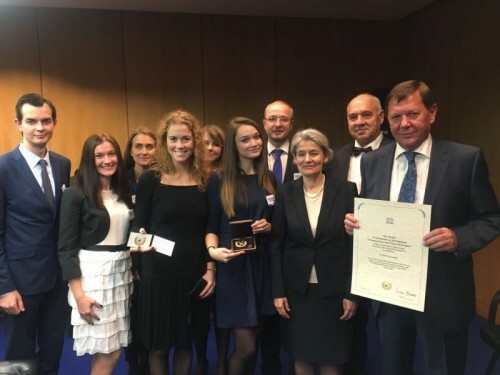 Rector Vladimir Vasilyev accepted the UNESCO Medal "Contribution to Development of Nanoscience and Nanotechnologies" in recognition of "the university’s outstanding achievements and merits in respect of development of nanotechnologies and fruitful international scientific cooperation in this field." 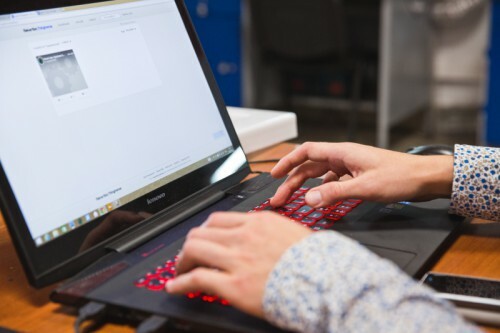 Both online and face-to-face versions are now live and are training the next generation of science communicators tasked with making research transparent, accessible and understandable for the general public. And straight to the 351−400 group! The only two Russian universities ahead of us were Lomonosov Moscow State University and Moscow Institute of Physics and Technology. We also landed the 56th place worldwide in the Computer Science category. 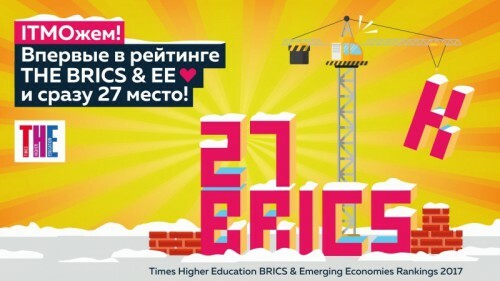 A newcomer to THE BRICS & Emerging Economies Ranking, we’re in the 27th position. The bronze creative award for "Best International Website page" was awarded to our team at the QS-APPLE higher education conference in Malaysia. The combined entity will train over 300 students a year and is the launchpad for several international research and education teams. Times Higher Education subject rankings were announced for Computer Science. ITMO University has never been represented in these rankings before and this year took 56th place, just one of two Russian Universities in the top-100 (along with Lomonosov Moscow State University). 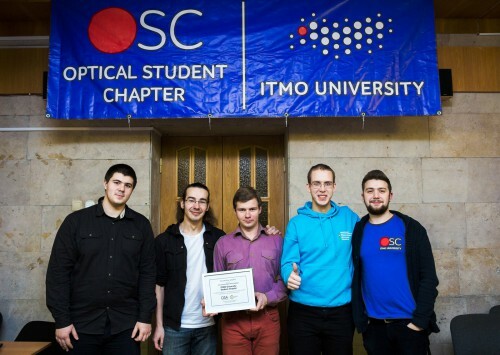 American Optical Society awarded ITMO University’s OSA Student Chapter Excellence Prize. Chapter’s Secretary Vladimir Borisov received the prize at the annual Student Leadership Conference in San Jose, California. 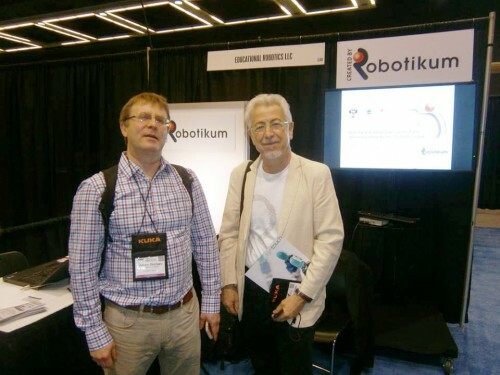 At ICRA-2015 International Conference in Seattle, Russian robot “Butterfly” got second place. The project was created by a startup “Educational Robotics” with support from ITMO University and a mini-grant from “Skolkovo” Fund. The team consisted of Gennady Korotkevich, Artem Vasiliev and Boris Minaev. 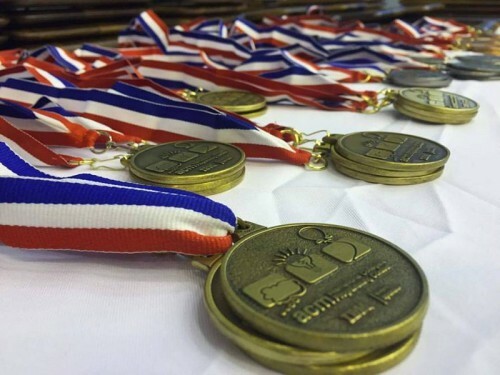 Once again Gennady Korotkevich takes gold, this time in the prestigious international competition Topcoder Open in USA. 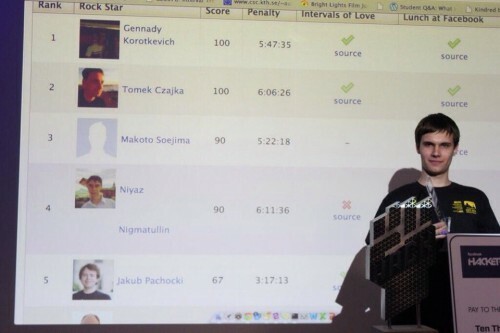 In 2014, Gennady won all major international programming competitions: Google Code Jam, Facebook Hacker Cup, Yandex.Algorythm, Russian Code Cup. The research was part of a megagrant program by the Government of Russian Federation. The finals brought together 25 top programmers, including five from ITMO’s Chair of Computer Technologies. 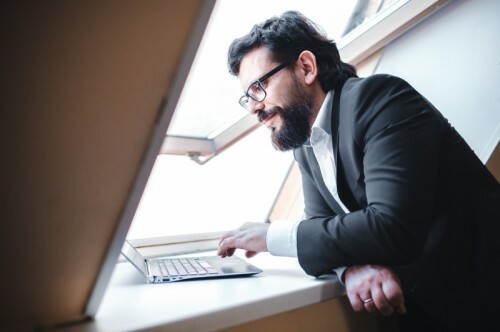 The goal of the project (in partnership with University of California, Los Angeles and Higher School of Economics in Moscow) is to support economic development of Russia’s regions through effective collaboration of the leading regional universities with other members of innovations ecosystem and building a system for commercializing universities’ intellectual property with outside partners through a “startup flow”. Based on the experience of the EURICA pilot project, ITMO kicked the project off in the regions, including Mordovia, in 2013. The team included Michael Kever, Niyaz Nigmatullin, Evgeni Kapun, and Coach Andrey Stankevich. 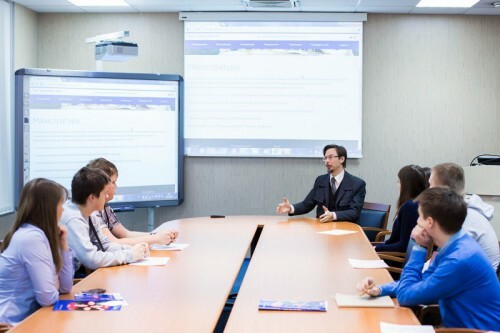 The students of ITMO’s Chair of Control Systems and Informatics won the first prize. The team included Maxim Buzdalov, Vladislav Isenbaev, Evgenii Kapun, and Coach Andrey Stankevich. 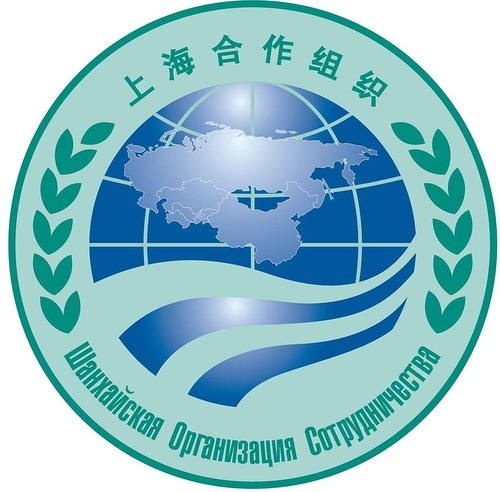 SCOU is a network of colleges and universities in Russia, China, Kazakhstan, Kirgizstan, and Tadzhikistan for regional studies, ecology, energy, IT and nanotechnologies. 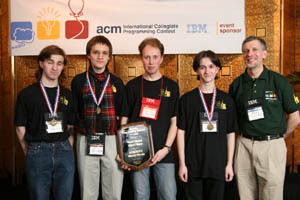 The team that included Dmitry Abdrashitov, Dmitry Paraschenko, Fedor Tzarev and Coach Andrey Stankevich became the absolute world champions in programming. 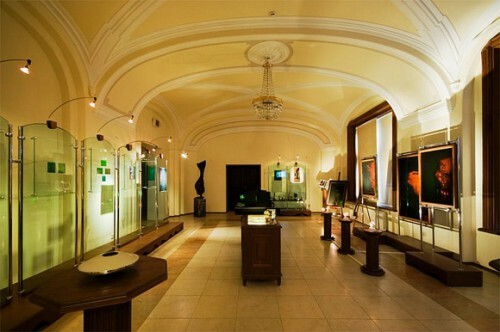 The Museum is a part of the Innovations Education Program. 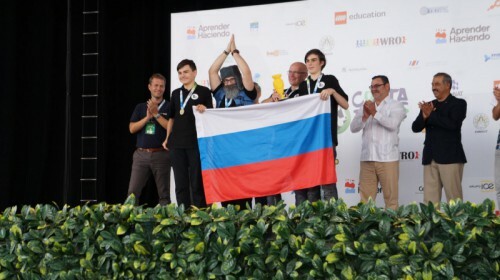 The team included Iskander Ikashev, Mikhael Dvorkin, Roman Satjukov, and Coach Andrey Stankevich, the Department of Computer Technologies. 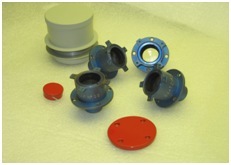 Prototypes of the unique optical equipment for working under water as part of the emergency automated placement of a rescue deep-water apparatus onto an emergency submarine were developed and manufactured by ITMO as part of the State contract. The project was completed in collaboration with the “Russar” Center. The team included Pavel Mavrin, Dmitri Pavlov, Sergei Orshanksi and Coach Andrey Stankevich, under the leadership of Professor V. Parfenov. The team included Pavel Mavrin, Dmitri Pavlov, Sergei Orshanksi and Coach Andrey Stankevich, under the leadership of Professor V. Parfenov. Russia’s President Vladimir Putin met with the winners in the Kremlin on May 28. 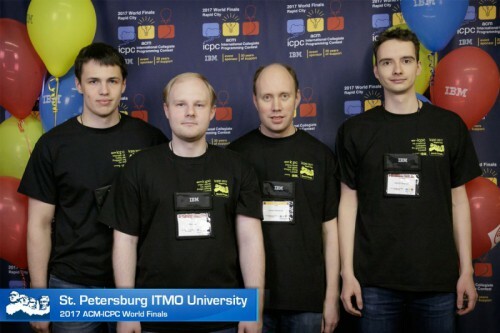 ITMO’s team took gold at the Championship’s final that took place on March 25, 2003 in Beverly Hills, USA. 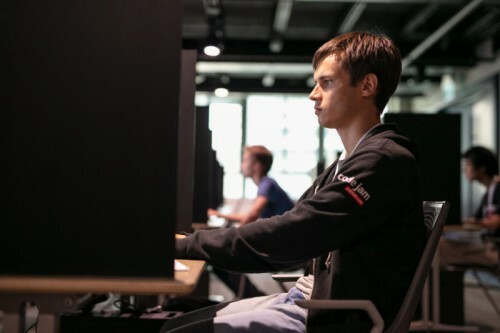 The team included Timofei Borodin, Aleksandr, Shtuchkin, Evgenii Yuzhakov, with the coach Andrey Stankevich and team leader V. Parfenov, dean of the Information Technologies and Programming Department. Over 3,850 teams from 1,329 universities participated in the contest. 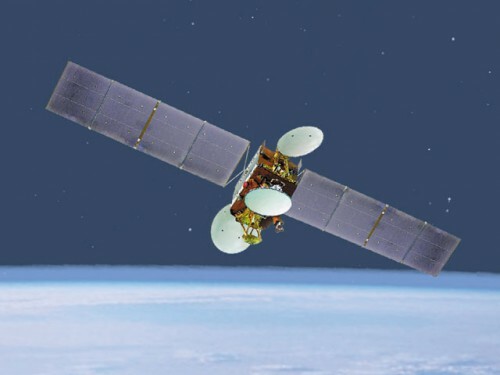 ITMO’s team in collaboration with “RUSSAR” Center manufactured quality optical equipment for spacecraft orientation, which allowed two new satellites “Yamal-200” to successful reach orbit and take a stable position there. The Center was created as part of the “National Technological Base” federal program. This Research and Education Center was created as part of the Federal program “Integration”. “Optics” Research and Education Center united instructors and researchers from LITMO, Vavilov Institute, Institute of Macromolecular Compounds of the Russian Academy of Sciences (RAS), Institute of Silicate Chemistry of the RAS and the Library of the RAS to improve the learning process and carry out joint research in optical sciences. 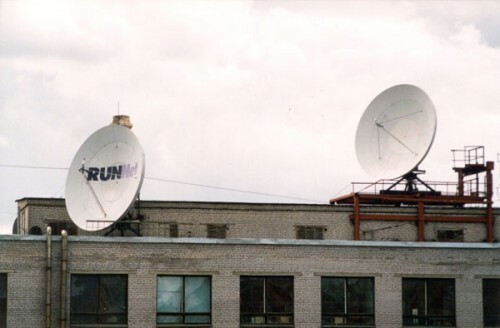 As part of the “Russia’s Universities” program, ITMO University became the St. Petersburg hub of the Russian federal university computer network RUNNet (Russian UNiversity Network) (scientific director – Professor V. Vasilyev). 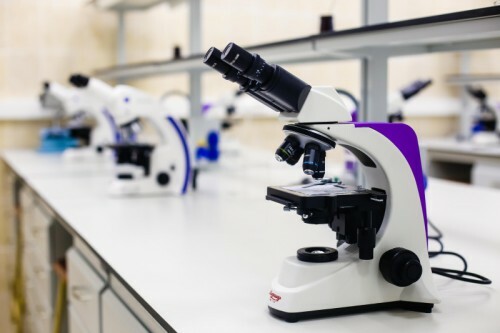 Staff of the Optics Profile Chair was involved in the UNIDO project to develop a Center for Optics Technologies in Syria (development and manufacturing of biological microscope prototypes. It was the best UNIDO project of 1991. 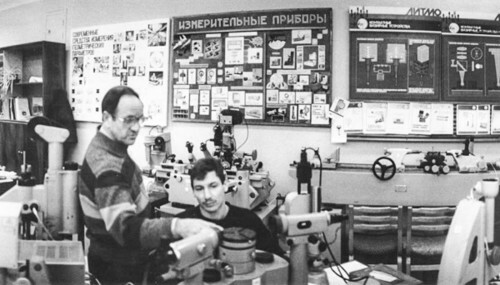 LITMO became home base for the USSR Ministry of Education Center for Optical and Instrumentation Education, and the Engineering Center for Electrical Drop-Jet Technology, which received Russia’s State Award in 1991. Was aimed on studying of Halley’s Comet. 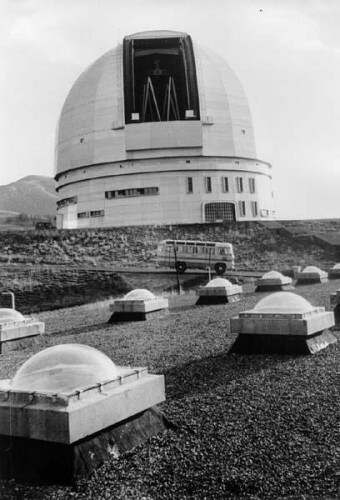 The telescope was developed under the leadership of Professor G. Tzukanova, associate professor of LITMO’s Chair of Optical Devices Theory. 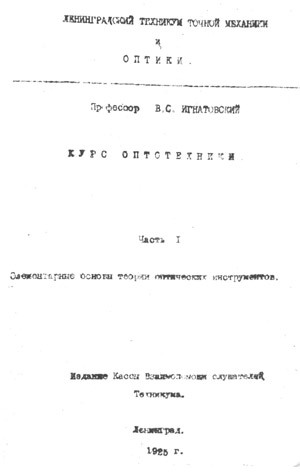 Professors V. Zverev and S. Radionov of the Chair of Optical Devices Theory received the USSR Ministers Council Award for the development of one of the first systems of automated optics design (“Optica”). A group of LITMO experts headed by professors V. Zverev and S. Radionov participated in the development and exploitation of the Large Alt Azimuth Telescope (mirror diameter- 6 m). 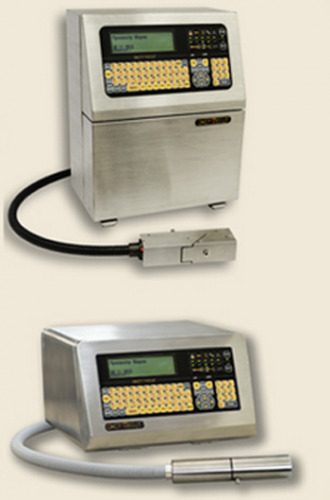 For the first time, it used the original control schemes and advanced computer processing for analyzing control data. Professor V. Zverev and his group received the Lenin Award for the project. 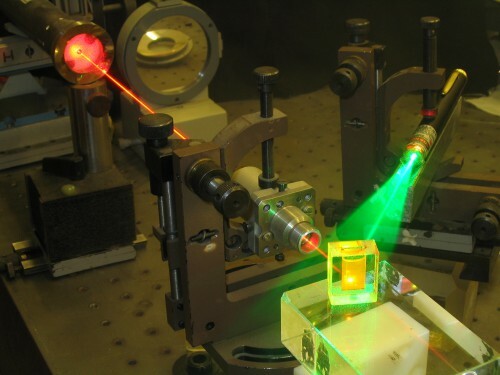 One of the first laboratories in this field started researching various methods and means of force action of coherent laser radiation on various materials. 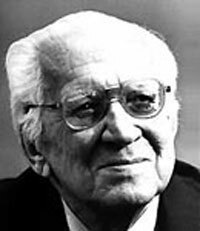 The machine was developed by the Chair of Calculating Devices headed by Professor S. Izenbeck. It consisted of 2,000 electronic lamps and performed 100 operations per second, with 1 kb of memory. The institute started accepting international students from Hungary, Bulgaria, Vietnam, Germany, Egypt, China, Cuba, Romania, and others. 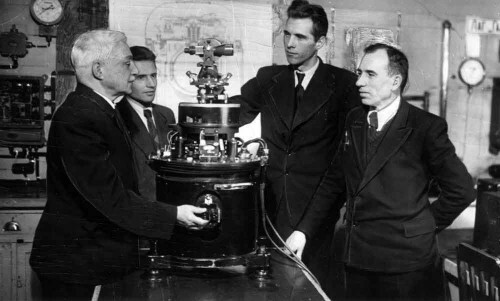 LITMO’s professors S. Zuckerman and N. Savitzki in collaboration with the staff of the Military Medical Academy developed the first in the USSR mechanical cardiograph. Some 60 pieces were made in LITMO’s workshops before moving the device into mass production. 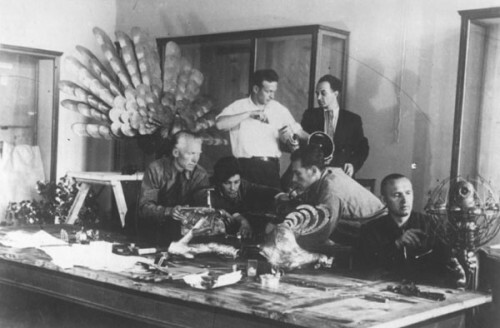 The Hermitage’s famous “Peacock” Clock was repaired by a team of the Fine Mechanics Chair headed by E. Kuklin with participation of E. Livshitz, L. Saravaiski, O. Sergeev, as well as the mechanics G. Smirnov and N. Springe. The first in the country survey gyrocompass M-1 is developed in collaboration with the National Survey Institute. 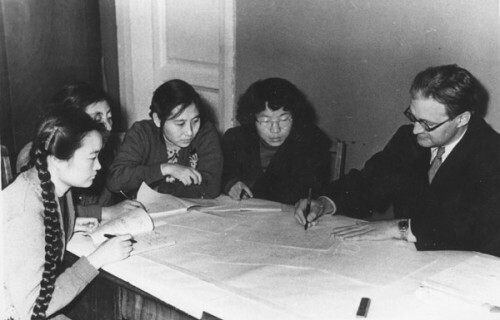 The project received the USSR State Award. 1950 — for development and production of wide-angle multi-complexes for processing aerial shots. 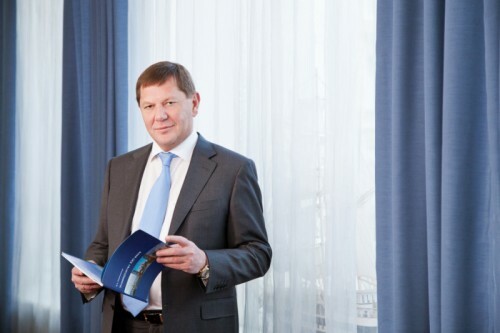 Lab is established with Professor M. Malikov at the helm. Later it was transformed into the Chair of Mathematical and Calculating Devises (since 1963 – Chair of Calculating Equipment). By the fall of 1939 the Chair was already among the leading in the institute and was developing electromechanical calculating devices and controls. 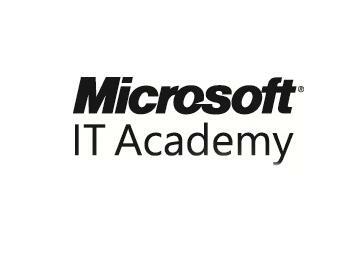 Some of the courses were taught by the leading industry experts. 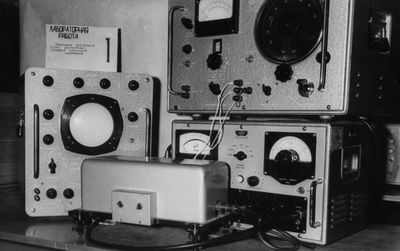 The equipment was made at the institute’s workshops. The lab was geared towards developing the technologies for processing abrasives of optical materials to eliminate importing expensive abrasives. 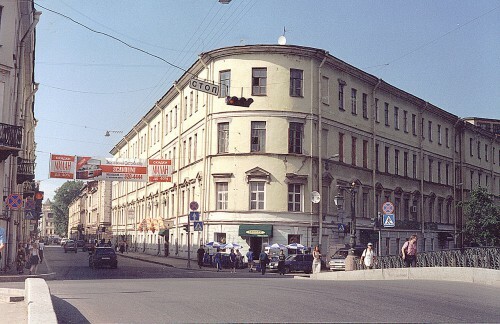 In 1930, the college was transformed into Leningrad Training Center, and in 1933, Leningrad Institute of Fine Mechanics and Optics (LIFMO) became a separate college. 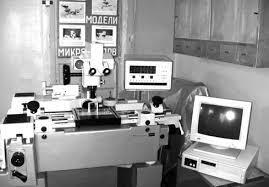 Its first research laboratory was established in the Department of Optical Glass Technologies. 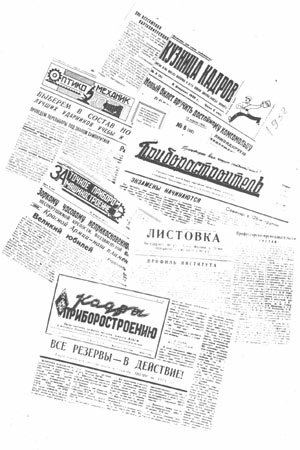 Thanks to research here the USSR could get away from importing expensive foreign abrasives. The newspaper was originally titled “Experts Mint” and in 1956 renamed “New Experts for Instrumentation”. 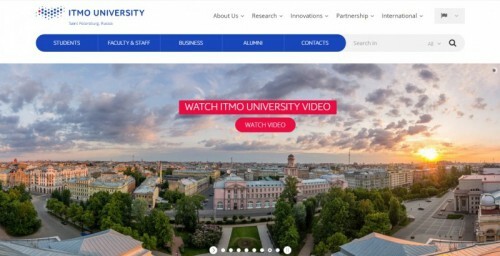 In 1994 it got the new name of “Technical University ITMO,” and in 2003 received its current name “ITMO University”. First year of offering a college degree program for engineers in Fine Mechanics and Optics. 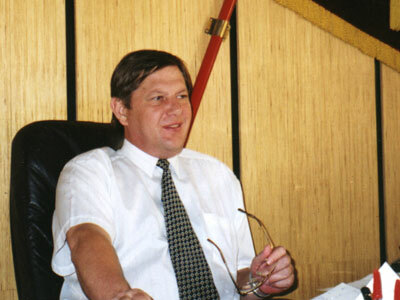 Norbert Boleslavovich Zavodsky became its headmaster. 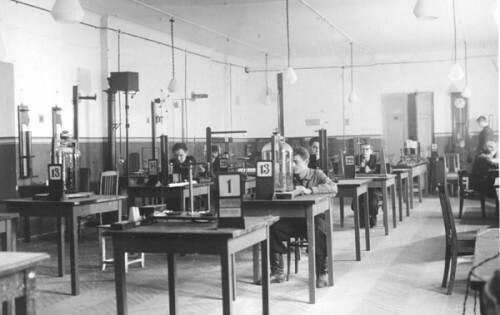 In 1920, most of its classes were transformed into Petrograd College for Fine Mechanics and Optics (later – Leningrad). 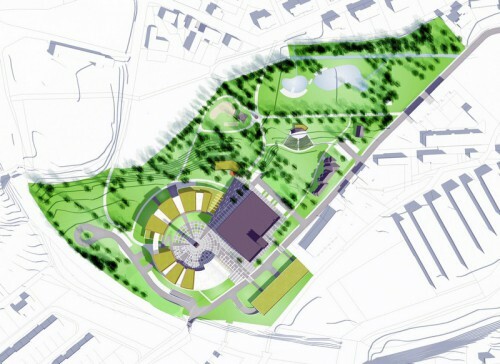 The municipalities allocated a building for it in Demidov Pereulok. 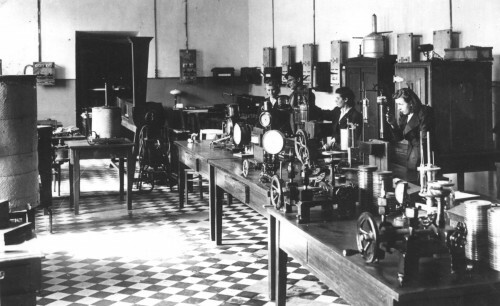 The colleges’ manufacturing facilities made a variety of complex optical and fine mechanics products.The first in USSR group of instrument engineers graduated here in 1931. 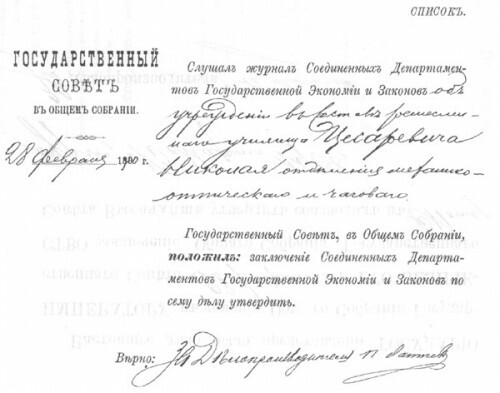 On February 28, 1900, the State Council of the Russian Empire proposed to establish the Mechanical and Optical Department of the Prince Nicholas Vocational School. The decision was approved by the degree of Emperor Nicholas II and became law on March 26 (March 13 by the old calendar) 1900. The date is considered the foundation of the first in Russia specialized college for experts in Fine Mechanics and Optics.